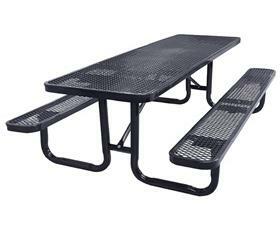 9 gauge expanded metal seats and tops. 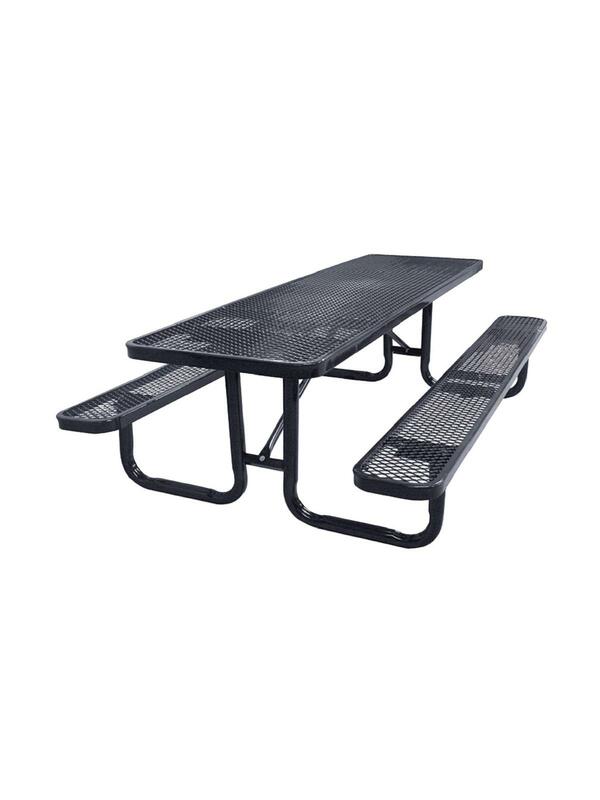 Our expanded metal picnic tables have weatherproof thermoplastic coating to provide years of attractive usage. Black powder coated galvanized steel 2-3/8" tubular legs. Available in sizes from 4' to 12' in length. ADA tables available in 8' size. Please specify color in comments when ordering. FOB Shipping Point. Available Colors: Black, Red, Orange, Yellow, Green, Black/Green, Teal, Blue, Navy, Purple, Burgundy, Brown, Beige, Sandstone, Grey and Granite.